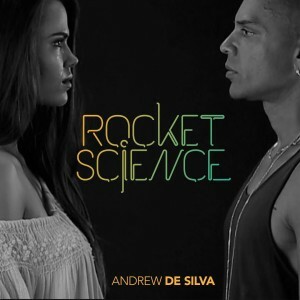 Andrew De Silva has made us a little sad with one single comment on his Facebook page; “I sometimes wonder why I put so much time into making music but there’s something about creating… just has to be done”. It’s sad because here’s one of Australia’s best talents – a one time member of one of our most successful boybands and one of the country’s great soul/pop stars and what does the mainstream media here give him? Donuts. Nothing. So he’s independently releasing this latest single ‘Rocket Science’. It’s a deliciously lithe soul number, helmed by Andrew’s superb vocal that taps the falsetto in his bag of tricks and the layering of the vocals is pretty sublime. Hey Australian commercial radio! Here’s a thought… how’s about playing Australian music? It’s not rocket science.